Specializing in Six centuries of printed and manuscript books on food and drink, including cookery, gastronomy, wine, spirits, mycology, farming and gardening. 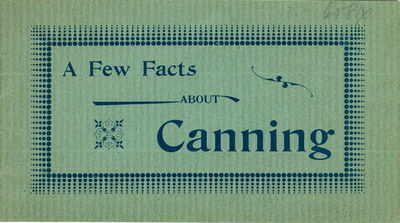 An extensive inventory of culinary ephemera includes menus, trade cards, photographs and more. We buy and sell fine and rare books on all fields related to food and drink, and work with clients worldwide to source rare books and develop private collections. We also appraise books and archives in these and related fields. Unless alternate arrangements have been made, payment is expected at the time of purchase. We accept payment by credit card, wire transfer, PayPal, check, or money order. All orders are shipped promptly and securely packed in boxes to avoid damage during shipment.Shipping costs stated are estimates. Large sets or particularly heavy items may require additional postage, especially for priority or international service.All items are guaranteed to be as described (this includes condition, edition, authenticity of signatures, etc.). If you are not satisfied with your order, please contact us and we will be happy to work with you.Returns are accepted for any reason. Notification of return within 10 days of receipt is appreciated. Please send returns by the most economical method, and you will be refunded upon receipt.